Build texture in your outfit for style. 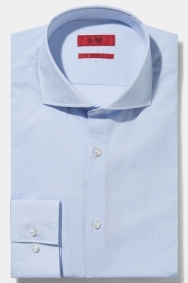 This HUGO by HUGO BOSS shirt will help you get more depth in your smart looks with its subtle geometric print. 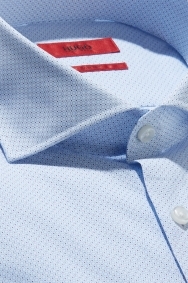 It’s tailored to sit close to your body for a defined yet flattering shape, and the cutaway collar brings added sharpness. The 100% cotton material also bolsters the comfort factor. Wear to add personality to your otherwise plain blue suit and reach for a bold tie for an extra layer of style.